Wendy Milette instructs grades 3-6 in the use of computer technology on a weekly basis in our library media lab. The technology program integrates computers in support of the core curriculum. This program teaches children how to use computers creatively to achieve their goals. Ms. Milette also serves as Pacific School's GATE teacher. In the third and fourth grades we concentrate on basic skills of typing, mouse use, file management, digital drawing, and basic coding. Some of the projects include Dance Mat Typing (BBC typing program), code.org, haikus, communal stories (everyone writes for 5 minutes and then changes seats), concrete poetry and creating persuasive posters. In the fifth and sixth grades technology is combined with a media awareness component. Students will evaluate the use of media in their lives and be encouraged to find a healthy balance. Media literacy also includes a segment on propaganda, truth in advertising, and body image. In addition to discerning propaganda and influence-based media, the students will be introduced to Media Arts Production tools in order to create their own media projects that promote social good. Some of the projects we work on include myhero.com hero-based storytelling activities and using software (i.e. Gimp photo editing and drawing, Garage Band music and Sound Effects creation, and iMovie video editing). 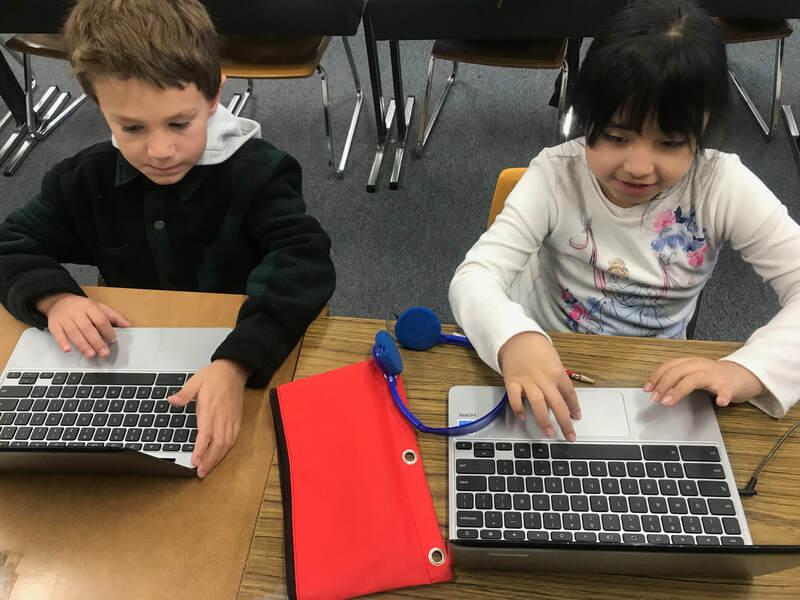 Issues of Internet safety, cyber-bullying, and the appropriate use of information found on the Internet are addressed in an age-appropriate manner within both the school's technology classes and students' regular classrooms. The fourth, fifth, and sixth graders in the technology program will participate in Be Internet Awesome, a multifaceted program designed to teach kids the skills they need to be safe and smart online. Students in the fourth grade are tested with the RAVEN Standard Progressive Matrices test, along with an Intellectual and Academic Functioning Inventory and classic creativity challenges. These evaluations help us determine who is eligible for the Gifted and Talented Education Program. The fourth, fifth, and sixth grade students participating in GATE will be engaged in project based learning activities. Some of the projects the students explore include, media production, song-writing, e-textiles, soft circuits, science enrichment, game creation, stop-motion animation, and maker-tinkering. In addition to specific GATE instruction, students in both the independent study and traditional classrooms who show the ability and interest have the opportunity to advance at an accelerated rate through the mathematics curriculum. Students making a stop motion animation.